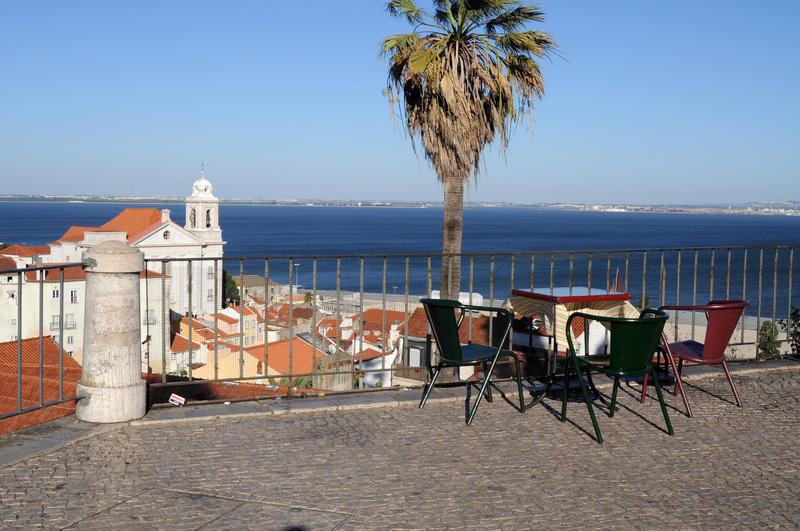 Being a tourist in Alfama, the neighborhood of St. Jorge’s castle in Lisbon, can be exhausting. After a few hours of walking up and down the narrow streets, we deserve to stop for a refreshment. There’s no better place to enjoy a cold, draft beer than the esplanade at Cerca Moura. That’s the name of the defensive wall first built by the Visigoths and then rebuilt by the Moors. Here you have the same same view of the river Tagus that was once enjoyed by Romans, Moors, Suevi, and Visigoths. But, unlike them, you don’t have to be on the lookout for hoards of invaders. Cerca Moura, Largo das Portas do Sol 4, Lisbon, tel. 21-887-4859.